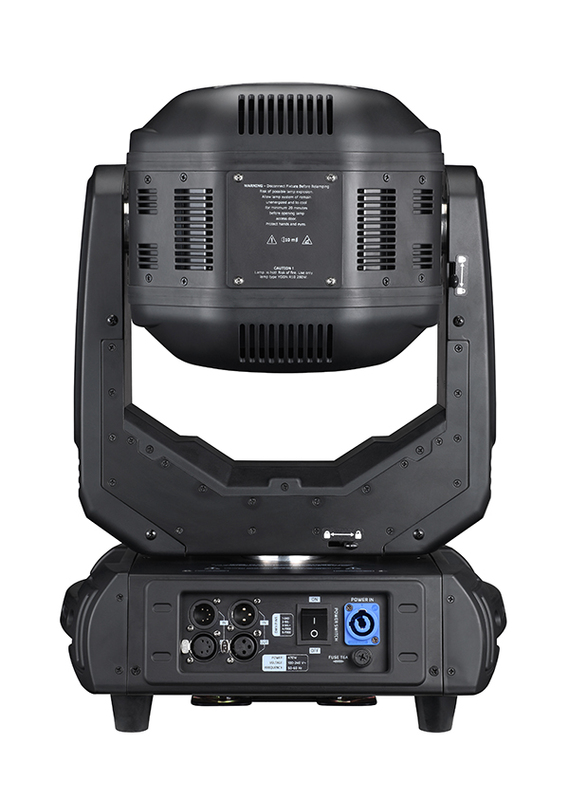 ArtFox Vista 10R is a super powerful light, use Osram HRI 280w 10R lamp, Beam Spot Wash 3-in-1, linear Beam Angle 2.5-20°. 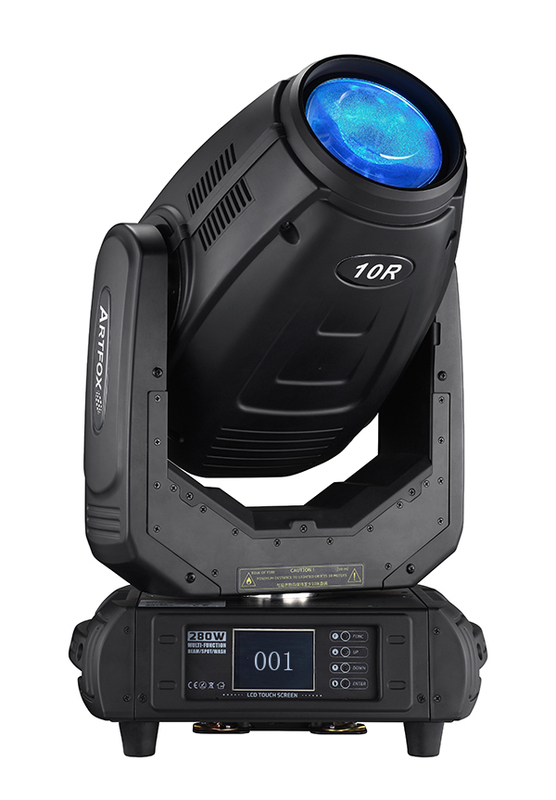 It features 8 facet Circular Prism + 6 facet Linear Prism, 13 colors+open, 9 Rotating Gobos + Open, 14 Fixed Gobos + Open, Linear Frost, Linear Dimming, Linear Zoom from 2.5-20°, 0-13 times strobe per seconds. 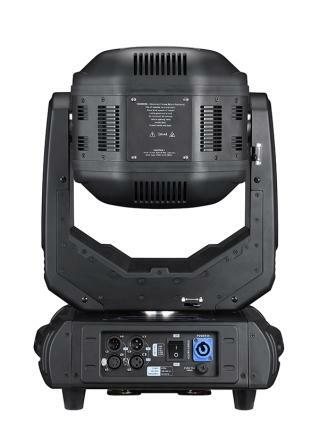 8 bit or 16 bit Tilt & pan, Extreme quiet light. Every factor is awesome. and you can show 3D effect of the gobos. 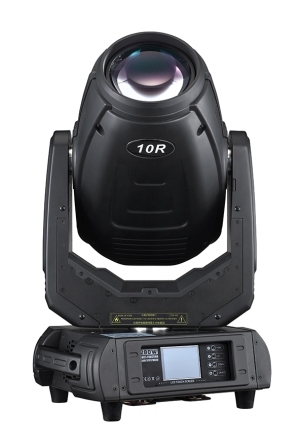 Very high-end and powerful light.
. Control Mode: 3 DMX MODE, 16/24/30 mode. Master/Slave, Built-in Program, sound-Actived mode.